To paint delphiniums on glass takes just a little practice but it is well worth the effort. 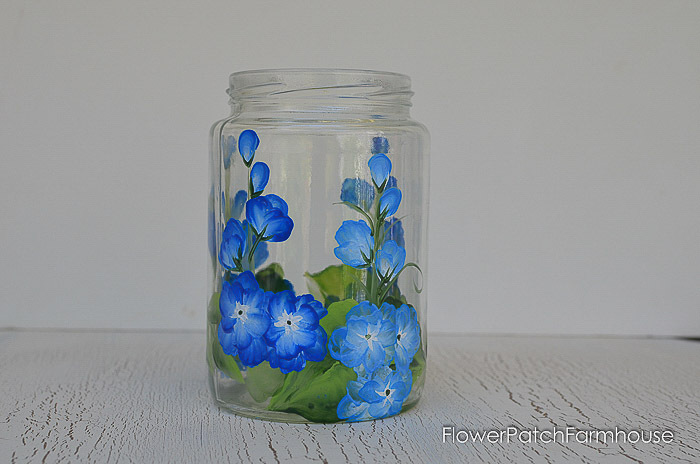 Have fun upcycling glass jars with this fun painting technique. Create fun summer lanterns by adding tealights or battery operated fairy lights. Painting on glass is only a tad different than on other surfaces like wood, paper or canvas. Once you get the hang of letting one layer dry before adding another for opacity then you have it made. I have a couple other glass painting tutorials you are welcome to check out. 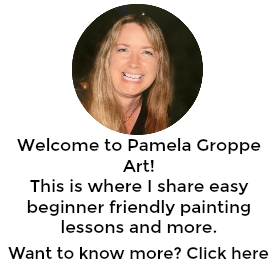 I will link them individually at the end of this post. 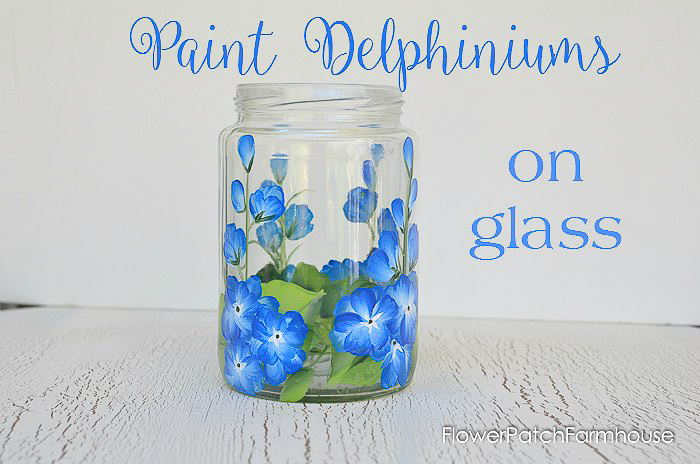 Now on to how to paint delphiniums on glass. For this post I have only a video to watch and no photo step by step as of yet. I am working on another paint delphiniums tutorial on card stock in the works and that will have the step by step photo tutorial for easy reference. In this tutorial I used a cleaned pickle jar. You can paint this design on whatever you please. Next I may do some wine glasses but I typically practice on jars from salad dressing, pickles etc. I wash them in the dishwasher then wipe them with a paper towel and alcohol to make sure there is no residue. 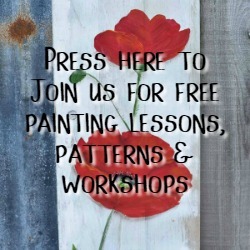 It takes mere seconds for it to dry and you are ready to paint. Try not to touch the surface, hold the jar by the top or bottom. The oils from your hands can cause the paint to not adhere well. I had messed up on the first video so I had to remake and cut it in so if it suddenly seems like there is a lot more flowers on the jar than at the beginning you know why. Let the paint dry for 24 hours then place in a cold oven. Set the temperature to 350 degrees and bake for 30 minutes. Start the timer once the oven reaches temperature. Once the glass items have baked for 30 minutes, shut off the oven, don’t open the door and let cool completely, then remove from oven. Baked painted glass is reputed to be dishwasher safe on the top rack but I have not personally tested it. UPDATE: I have tested it on items I have painted and the paint did come off in the dishwasher. Many factors could’ve played a part, using water to rinse my brush which can degrade the paint or other things. So I recommend only hand washing for painted items, just to be safe. Please PIN and share..the more the merrier! Don’t live in the U.S. and can’t find Enamel paints for glass? Try PlaidOnline.com for a list of International Distributors. Beautiful! I’m your first Bloglovin follower! Than you so much for the flowers and how to cure the paint!! You are such a treasure! !